We are one of the leading wire drawing machine manufacturers with more than 20 years experiences with a high reputation. We have gotten ISO9001:2008 standard and certificate. We have a professional technical team, a good after-sale service team, an excellent production management team. 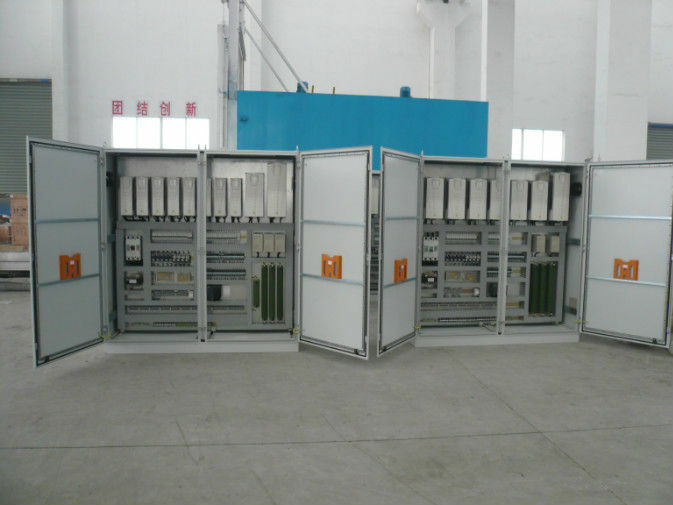 We can design and produce various wire drawing machines, auxiliary equipment according to customers’ special requirements. 1. Drive: Host straight line wire drawing machine, the first five heads power by the AC frequency motor through high-frequency joint narrow V-belts, spread by the hardened reducer to capstan. And the other six heads power by the AC frequency motor through two high-frequency joint narrow V-belt to capstan. 2. Brake: Clamp brake mounted on the motor pulley, quick stop or emergency stop wire drawing machine, which can effectively brake. Its role not only as a brake, but also to prevent the reel reverse brake, release the clip close to the solenoid valve control clamp brake cylinder. 3. Capstan: The material is ZG45 steel, surface is build-up welded, the surface is brightness, smooth, wear-resistant surfacing height of 150mm, long service life; hub height of 150-200mm. 4. Drawing die box: It is welded structure, into two cavity. The guide roller is mounted into the side to ensure that steel wire can straight into the drawing die, die holder should be adjusted to wire tangent to enter the drawing rolls tuning roller installed at the entry end of the mold base tuning roll by a small cylinder put power, tuning the swing of the roller, so that the corresponding sensor output signal to fine-tune the speed of change. Tuning roller wire tension by adjusting the air pressure change, regulation range 0.15-0.6Mpa. The mold box is also equipped with a stirring device. 5. Jump-mode device: When drawn wire specifications total compression rate is less than the required 11 times drawing, can throw a drawing. Rejection mode principles: Inlet is small, outlet is fine, then dumped in front of passes; Inlet is big, outlet is rough, then throw behind the times. When the need dumped mold, the steel wire after the need to jump-mode machine mode box, and then into the next need to pull the mold box so that the wire can be within the effective stroke of the arm swing, thus ensuring the sensor can detect and adjust to match adjacent reel speed. 6. Capstan cooling: Inside of the capstan use narrow slit water cooling, cooling ring fixed in the body, capstan run through the spindle, when the water flow at high speed, during which water turbulence, and emitted from the narrow gap high-speed, high heat transfer efficiency, so that the rolls to cool; outside of the capstan use wind cooling by fan. Capstan tilt installation, increase the capstan product wire to extend the wire and the air heat exchange time. 7. Mold cooling: Drawing Die use open direct water-cooled, adjust the inlet valve to control the water height, when you need to replace the wire drawing dies, close the inlet valve, fast water emptying, and then change the mode, before and after the wire drawing dies, seals available copper pad or aluminum pad.